Being from the East coast, we are used to skiing in the southeast, where it takes maybe 3 minutes to get from the top of the run to the bottom. 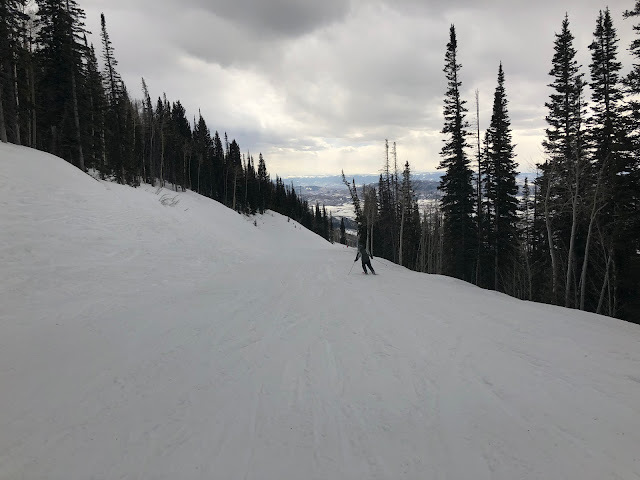 At Steamboat Resort you can cruise for 10 minutes or more depending on how high up the mountain you go. Babe prefers a little more of a challenge and will often hit blacks or more difficult blues. Me?! I like an easy coast and prefer to stick to blues. It's nice that we can split off, with the ability to meet up at the next ski lift. We've been to ski resorts before that have blacks on one side of the mountain and blues/greens on the other, so having them close together makes it easy not to get separated. My favorite run at Steamboat would have to be Broadway! This one was actually a green, but the views were incredible the entire way down and it was nice to just coast and take in the scenery. 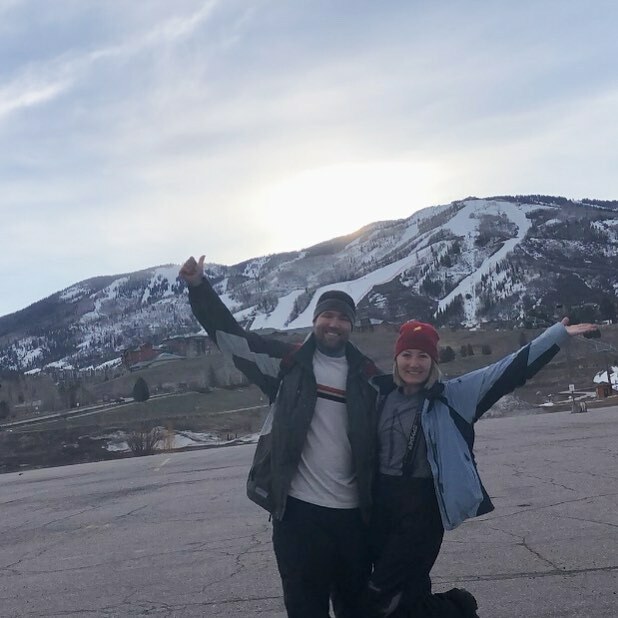 We love spring skiing! There are typically way fewer people on the mountain. We never waited longer than 2-3 minutes to get on a ski lift. We were able to get a table at lunch (order the bison burger! So, so good!) without having to table stalk! We often had runs entirely to ourselves! #SpringSkiingAlways... I also actually prefer spring snow this time of year, where it hasn't turned slushy yet, but is also a little more loose so that I can grip more easily. We also always make sure to shut the mountain down. It's the best way to get in one last run and feel like you have the entire mountain to yourself! We spent two nights staying at the KOA in Steamboat (pretty much the only option for camping close to the slopes). It gave us time to explore the area a little bit and we spent Tuesday easing our sore muscles in glorious hot springs. 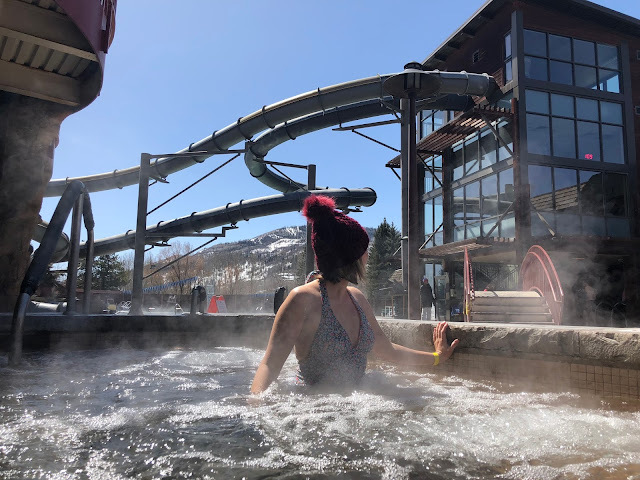 Old Town Hot Springs is right in the heart of Steamboat Springs and is the perfect way to spend a day after a day of skiing! Not only is there a large mildly heated pool, but also numerous hot springs that get warmer depending on which one you get in. All of these are fed from the main hot spring that has a rich history of providing warmth and rejuvenation with its mineral waters. It's not just a great spot for adults looking for ultimate relaxation, but also has a fun rock climbing wall and two fun slides, making it a great spot for the whole family! Two of our favorite things to do anywhere we go is try the local BBQ and brewery. 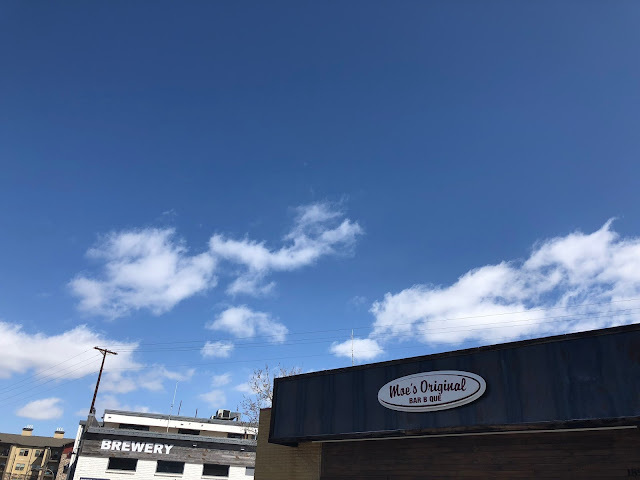 Steamboat Springs actually happens to have a BBQ joint sharing a parking lot with a brewery. It couldn't have been more perfect! Moe's was AMAZING! Their BBQ pork sandwich was one of the best we've had in a while. We loved it so much we went back twice! Storm Peak Brewery sits right night door, so we hopped over after lunch our first day and really enjoyed that as well. 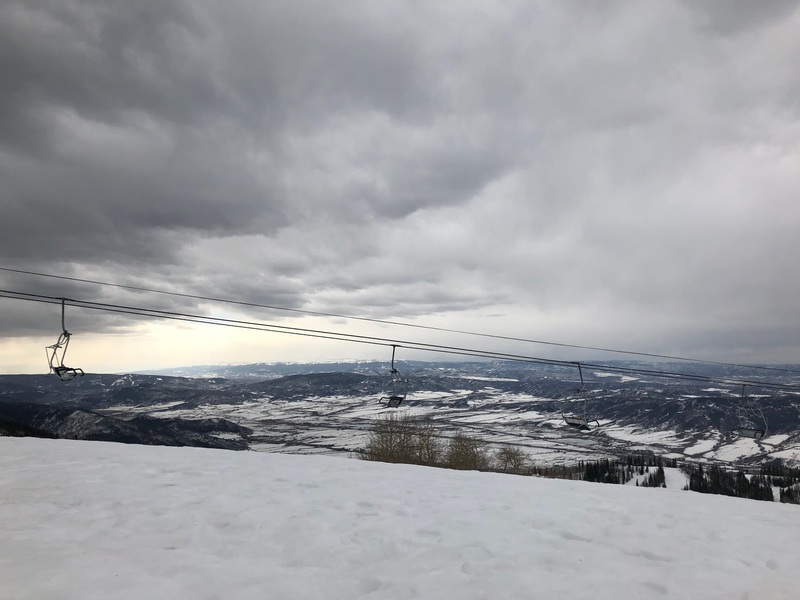 Steamboat Springs definitely has tons to offer! It doesn't matter if you are looking to ski or just enjoy the beauty of the mountains, it's a beautiful town. We were sad to leave and hope to make it back one day! What about you?! Do you enjoy spring skiing? 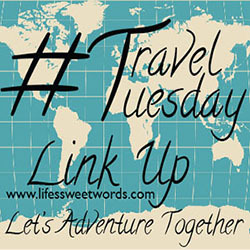 ~I will also be featuring my favorite post from the month before and sharing across social media. We may be loving our time out West, but man am I missing some of those expansive blue ocean views. 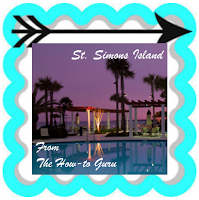 That's why this month's favorite is the How-to Guru's time in St. Simons, an island off the Georgia Coast! I'm in it for the water slides! HAHA in my gang it was snowboards all the way- I've never learned to ski, never had an interest! But I've never seen a hot spring and been in a swim suit AND winter hat!! 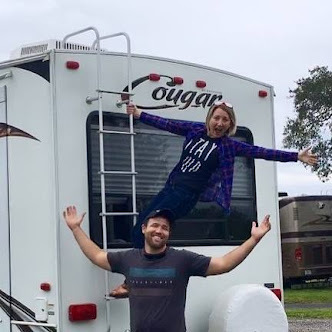 You guys are too cute, my husband won't hit the road with me just yet- He's too work brain oriented! Haha; my hubs was the same way!! Took me three years to convince him!! And he's still thinking about work all the time. Old habits die hard! I'm not a fan of skiing, but I would definitely be up for visiting the hot springs! And I'm always game for checking out a local brewery! It's a beautiful spot to visit even if you don't like skiing! The hot springs, cute town, and brewery are definitely a blast! Such a beautiful place. Seems like a great place to spend. The hot springs are cool. Very informative post. Thanks for sharing. :) The hot springs were definitely so much fun! What a lovely area, and clearly full of activities too. I've never heard of spring skiing, so it was great to read about something new. And those hot springs look wonderful, I could see myself in there! Yes! Spring skiing is the best!! Less people, warmer weather... can't be beat! 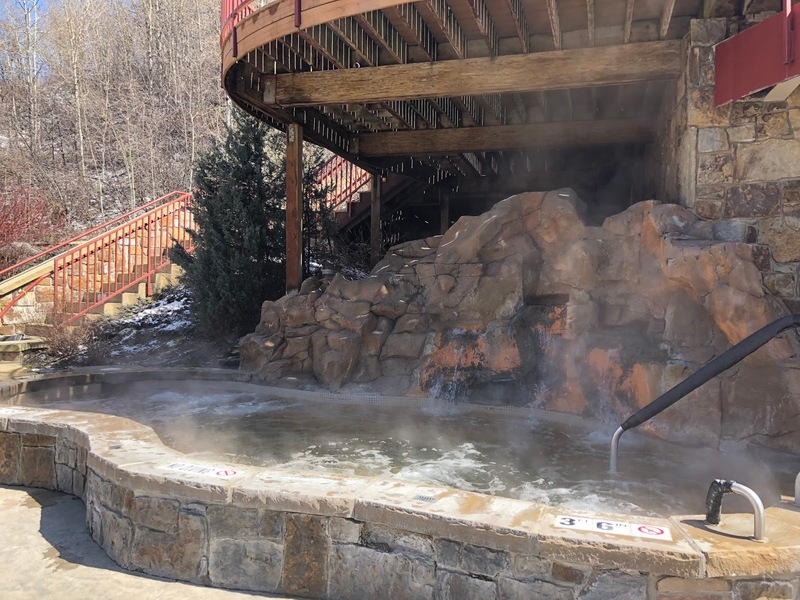 I'm not a skier, but I would definitely go if I had free lift tickets and could soak all my sorrows and sore muscles away at the hot springs! I've only been to one other hot springs in southeast Idaho, but it changed my life. I'm heading out to Colorado later in May and just might have to check it out! Yes! You definitely should!! Hot springs are the best!! I'm not into winter sports, so I probably wouldn't be on the ski slopes. But those hot springs and the BBQ definitely sound up my alley! They are so great :) No matter what time of year you go!! 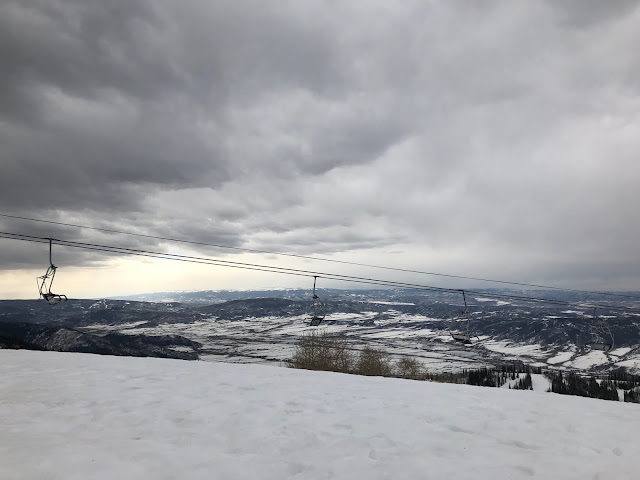 You're really making me want to head to Steamboat Springs right now!!! Love that video! I've never been skiing...I need to make this happen! YES! You definitely do! It's such a fun way to spend the day and get in some unintentional exercise! Those hot springs look fantastic! I am not a huge fan of snowboarding after doing it two times (It's too much work and cold!) but I would take a day chillin' in those hot springs anytime. I'm with you! I tried snowboarding and no thank you! I was face down in the snow most of the day; skiing is a bit easier in my opinion! But hot springs are great if you prefer to stay off the slopes all together! Where do I sign up? This looks absolutely phenomenal. I've also always had a hankering to get myself to Colorado! YES! You need to!! Colorado is so great!! AWE! Thanks for the shout-out at the bottom. Love it! I'm having fun living through y'all on your travels out west! I'm not much of a skiier (at least the last 10 years since having kids) Im more of a hot tub and lodge kinda girl! I'm the same way after I get in at least one day on the slopes! Give me a book and put me in the hot tub, preferably with a glass of wine, and I am perfectly content!! It really is!! So much to do and such a beautiful place!! This place looks so cool! I am not a skier but there is plenty more to do. I would like to get into those hot springs. I have never been to Colorado. It is a state I want to experience. It's definitely a beautiful state with so much to experience!! We loved Steamboat, but after we left we drove through Telluride on our way to Mesa Verde NP and oh. my. goodness!! So stunning!! We hope to get back there at some point, as we didn't have time to stop while driving through. I used to enjoy my winter vacations during childhood, because it used to provide me the best opportunity to play in snow, and get skiing help from parents. I still cherish those golden memories a lot. Your photos are fabulous and story sounds so cool! 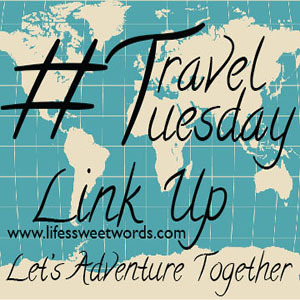 Traveling is the best thing a person can do! Indeed, we do not remember days, we remember moments! I'm sure that your moments are worth remembering ;) You're really making me want to see Steamboat Springs. You are my sort of inspiration! Thanks for posting!